Cathexis is the concentration of mental energy on one particular person, idea or object (especially to an unhealthy degree). This has been happening recently in my paralegal’s life, thus the fact of the day. 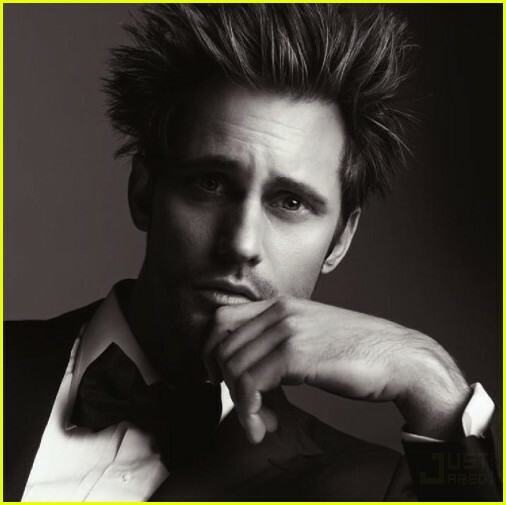 She’s obsessed with a capital “O” with Alexander Skarsgard. It’s affecting every facet of her life. She needs an intervention. He’s not even cute- look at this picture!! 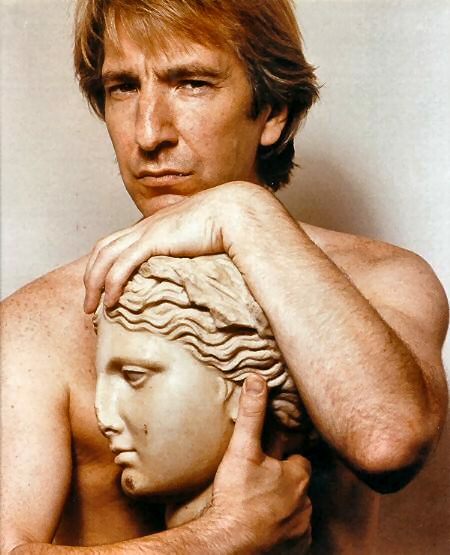 Don’t let her tell you that I’m the same way with Alan Rickman, tis a lie, I tell you, a lie! But, besides that, he’s at least handsome! I could really go either way on this one..
Na. He doesn’t do it for me, Liv. I’m glad some folks like him though. Ummm, if we look back through your blogs, just how many times will you have mentioned Alan Rickman? I rest my case. LOL a bunch. Happy Friday! Back at ya, Laurie! Have a wonderful day! Too funny, Jillian. You both have good taste, but maybe the seaside ions are affecting your eyesight– you need to check out Sam & Dean Winchester (& their father). LOL! Thanks Flossie. I will check them out. Whew, not sure I’d want to get in between you two. For me I’m more of a Mark Harmon type. Interesting word, Cathexis. I don’t, guess I need to dig it up. Yes, yes, you do! LOL! Yes I am obsessed I have yet to find a group that does anything but support the obsession. Jillian you keep your Al and I’ll keep mine and we’ll agree to disagree. =) At least I’m not stalking this week. hehe. Not yet but the weekend is here- prime stalking time. There was a tall blonde here in BAM who caught my eye. Alexander has some merit. But he’ll have permanent frown lines before long. I think your photo of Alan is old, girl. What does he look like now? It is old but he still looks good. Saw him on broadway in November and I’d still marry him.